Sorry wanted to counter some of the hate this app has gotten - so a heads up - this is my second review. 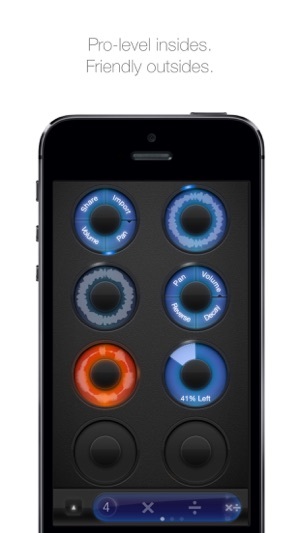 This is still the best looper on the market - whether you're talking hardware or software. 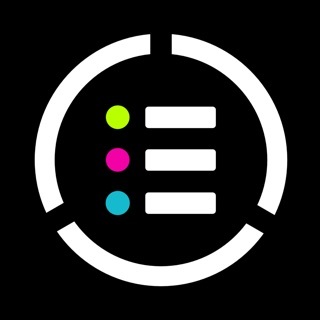 To those who find it difficult to understand / interact with - please look into the myriad midi mapping options this app offers! You can control almost every single parameter via custom mappings - turning this into a ridiculously strong hardware looper. I think the biggest learning curve for this app is understanding how the various loops are synced - and the sync settings themselves are highly configurable so that can add another layer of confusion. I love turning off the automatic loop length setting, allowing you to make loops on the fly of any length (that's a multiple of the initial loop) - this way everything stays in sync (when you close a loop loopy will wait to the next appropriate end - can be set to a beat or a bar) but you don't necessarily have to know how long the loop will be in advance (this is actually a very rare feature in loopers - many loopers will let you set an initial loop length and then that's it for all other subsequent loops). Anyways you only get out of this app what you put in and it does require some learning to understand the workflow, but trust me when I say that this is hands down the best looper out there (well you don't have to trust me but you can if you want, idk y'all do you). Literally the only reason I still have an iPhone. I’ve thought in loops for songwriting for years. Back before 2013, I used to record little looping segments, and sing part after part. 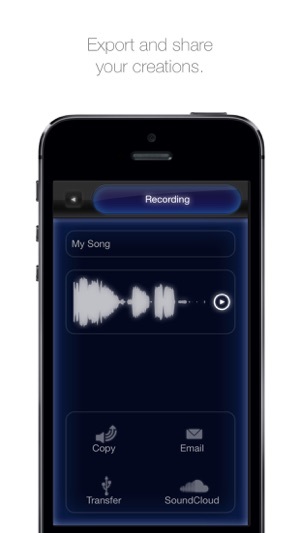 I’d sometimes use two phones’ cameras to record a loop, then record me singing over another loop. My life changed for the better when I found Loopy. I loved it then, and I love it now. Nothing helps me more when I’m trying to write songs. For me, Loopy is indispensable. In recent years, I’ve gotten more and more frustrated with Apple. I can’t customize my phone how I’d like to. Since the iPhone 7, I’ve had to try and keep track of this stupid tiny attachment to even USE Loopy, and I can’t record and charge my phone at the same time. It’s infuriating. 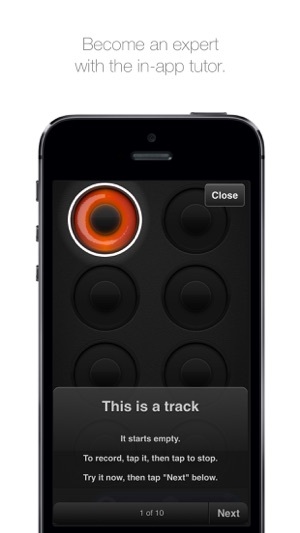 Still, when it comes down to it, despite all the abuse from Apple, I’m willing to put up with it for one reason: Loopy. 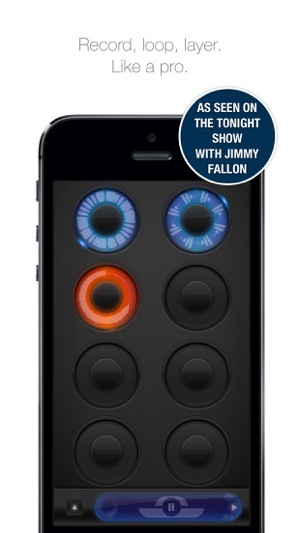 Pretty sure I own every iOS looper out there and this is the best for my needs. Let me explain. I’ve been using this app for easily over five years. It was one of the first ones I bought when I started making music on my iPad. I have to admit that I have come back to the App Store and read these poor reviews about loopy and it’s made me think that maybe there something disappointing about the program that I am not experiencing personally. Nope! 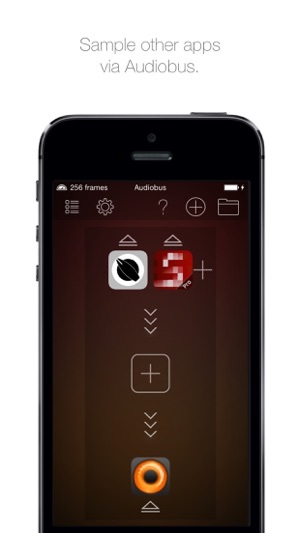 This app is so good and so easy to use and integrates easily into any other program that’s want to use it in. I very rarely stray to another. It’s so good! My demands are pretty high as Loopy performs beautifully every time. It’s one app that never lets me down. I love being able to improvise a set of vocal loops and export them directly into what ever daw I’m working in. I love the way you use the app. It doesn’t take me out of the zone! Thank you!! That's great to hear!